Leg injury threatens teen boy’s life; here’s how you can help! 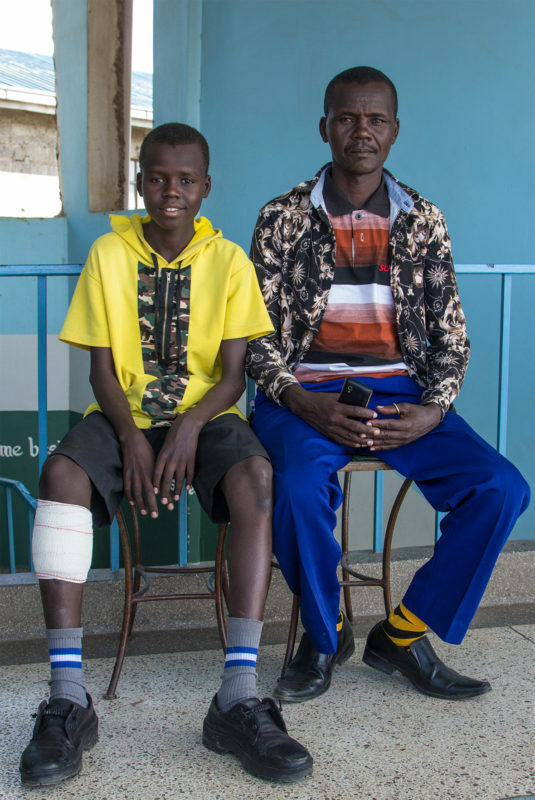 In June 2017, Ekiru Lokwawi was running an errand for his dad on a motorbike when he seriously burned his leg, and his life became filled with constant pain. “Despite treatment, the wound became infected,” said nurse Raelyn Nicholson, the Health Quality Assurance and Liaison Coordinator at Missions of Hope International in Nairobi, Kenya. “As the months passed, the infection worsened due to Ekiru’s limited access to quality health services in his rural community and poor living conditions. 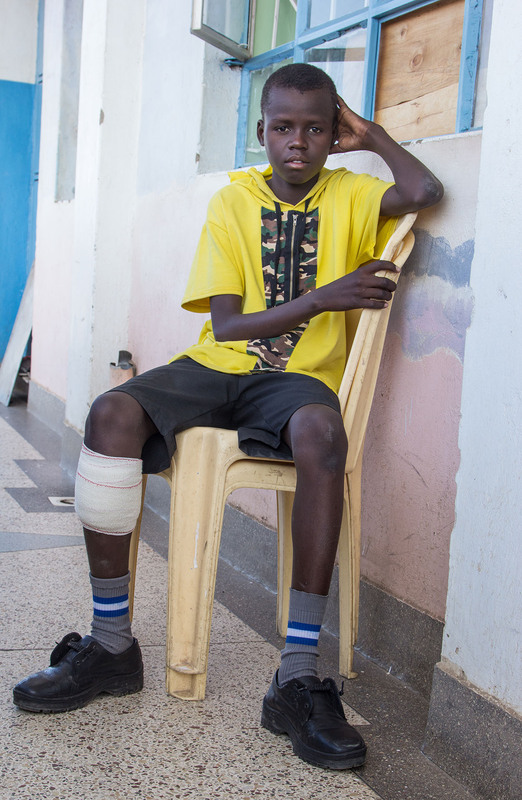 Now, two years later, the 13-year-old, who attend’s MOHI’s Napuu Center in rural Turkana, Kenya, Ekiru has developed a serious condition called chronic osteomyelitis, which is an infection of the bone. “If left untreated, Ekiru is at risk of permanent disability, amputation, or even death,” said Raelyn. Ekiru Lokwari, left, helps his dad with household chores despite his life-threatening leg injury. A team of leaders from MOHI learned about Ekiru when visiting Turkana in January. Even though he’s in constant pain, Ekiru is a tough kid, notes Raelyn. But Ekiru remains hopeful that his life will change. Will you join us in praying for Ekiru’s healing and help MOHI cover the cost of his medical care? Will you be the answer to his prayer? Go here to give now!